Carnaval in Spanish, (or Carnival in English) is the week-long festival or that precedes the forty days of Lent, a period of prayer and penance before Easter. Traditionally, Catholics abstain from eating meat during this period, and families would celebrate with neighbors and clean their pantries at the same time. So, there are many sweets that are eaten during Carnaval. Below is a list of some traditional Spanish Carnival sweets from the various regions of Spain. This is truly a Spanish classic dessert recipe. Inside is a firm, sweet, cold milk-pudding that is encased in a thin, crunchy, fried shell made of flour and egg. It is relatively easy, but because it needs to be chilled for at least 3 hours (and preferably overnight) before frying, plan to make it ahead. 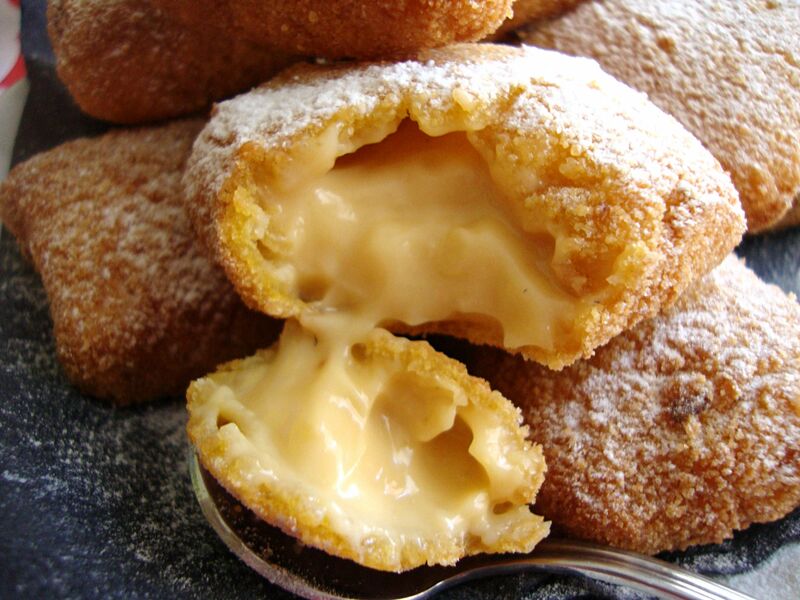 These fluffy, fried, round pancakes are typically in the Canary Islands, and they drizzled with wildflower honey. Frixuelos are a dish originally from the Spanish provinces of Asturias and Leon. Frixuelos or Filloas are a simple crepe-like dessert made of flour, milk, and eggs, which can be filled with a variety of fillings - sweet or salty. Tradition in Asturias is to fill them with sweet apple compote. 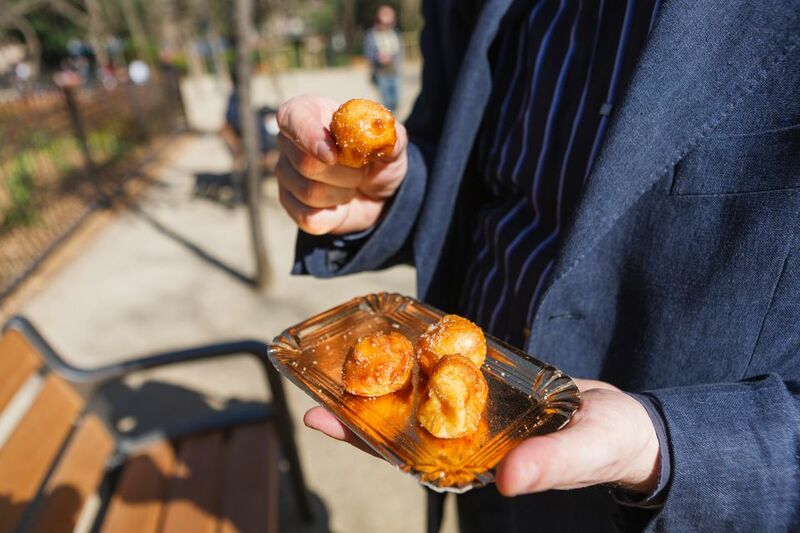 Bunuelos are perfect for an afternoon snack or dessert and are a typical Spanish dessert, eaten in every region of Spain. Truly light as air, after frying they are dusted with powdered sugar and may be filled with cream, custard or a fruit preserve. It is believed that torrijas originated in the convents of the southern region of Andalucia in the 15th century as a way to use up stale bread. Today it is a popular breakfast food all over Spain. Slices of stale baguette bread are soaked in milk and/or wine, then dipped in batter and fried, similar to what Americans call French Toast. Top with warm honey.